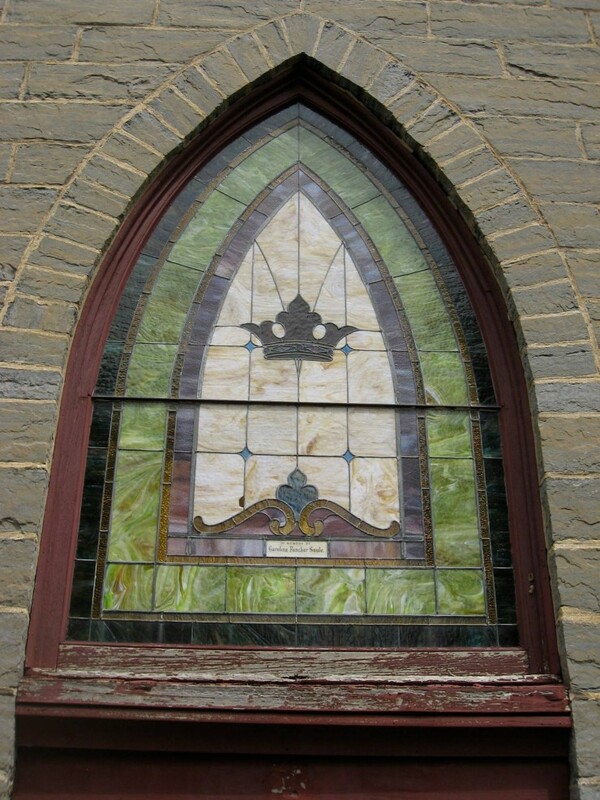 By 1853 The Presbyterians of Essex had already built an imposing stone structure, now known as Essex Community Church, at the main intersection of the hamlet at Main Street and Route 22 (Station Road). Eventually, this church became the home of the Federated Church of Essex. The church, designed in a rusticated Italianate style by architect T. S. Whitby, is constructed of grey stone quarried at nearby Willsboro Point, and built for a total cost of $10,000. 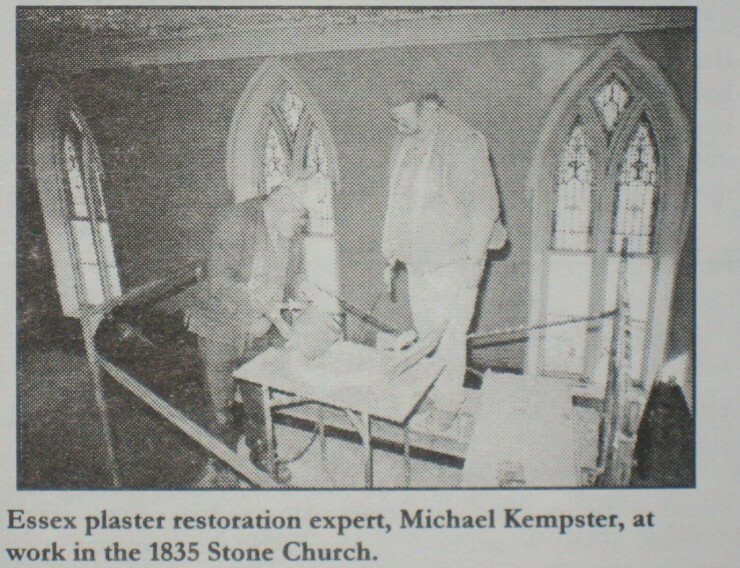 Funds for the project were donated by Essex townspeople, both wealthy and of modest means. 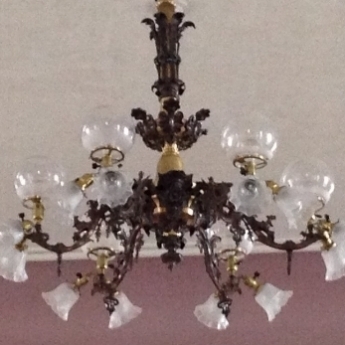 The elaborate chandelier that still hangs from the sacristy ceiling was originally designed for oil lamps. It was later converted to be lit by electricity. The clock in the church’s tower, which serves as timekeeper for the town, was installed in 1911 with donations from Justice James S. Harlan and Maude Noble Harlan in honor of Maude’s mother, Adeline Noble. It was Adeline who had established the town’s first library, Essex Free Library, at Greystone Cottage (opposite the Lake Champlain Ferry dock) in 1899. 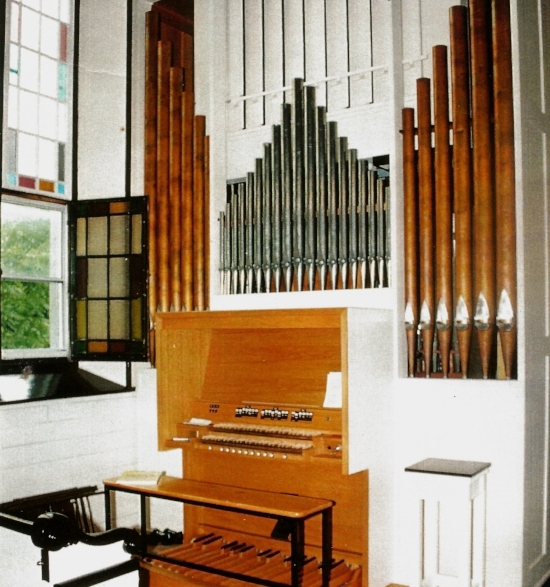 The magnificent tracker-action pipe organ that is a feature of ECC was donated to the church by Essex resident Donald Beggs in 1991. This organ, dedicated to Essex resident Warren A. Cross, has been the centerpiece of many community concerts held at ECC for the past 25 years. * Sources for this history include Essex, New York: An Early History, by Morris Glenn, with photographic illustrations provided by the Essex Town Historian, Shirley LaForest, and published by Belden Noble Memorial Library, Essex, 2003; Images of America: Essex on Lake Champlain, by David C. Hislop, Jr., Arcadia Publishing, 2009; and the ever-popular, comprehensive, and original hyperlocal blog; A History of Essex Community United Methodist Church and Congregations, 1815-2000, by Shirley A. LaForest (Essex Community Church, 2000). A copy of this book can be found at Belden Noble Memorial Library, Essex, NY.